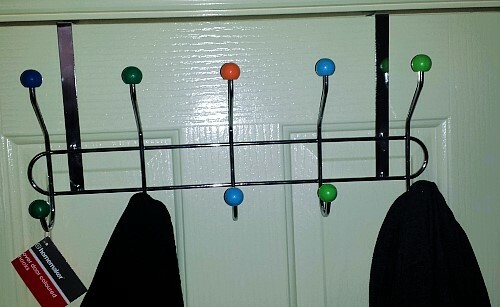 Our new over the door coat racks – $9 from Kmart. It is the weekend again here at Chez Snoskred. Yesterday I went and had a CT pulmonary angiogram, which I had been putting off for 4 months! and a shedload of blood tests that involved 15 or so vials of blood. The girl forgot a vial, so I had to go back for an extra needle stick, which I did with extremely good grace considering I hate needles more than anything. So 3 needles total, yesterday. NOES. 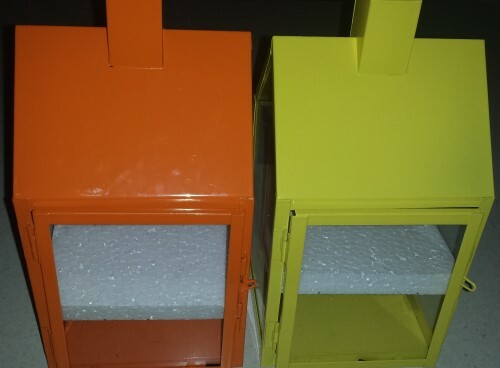 When she called me, I was at Kmart, where I picked up these cute candle lanterns. Little Kitty has learned to jump, and this means a sad goodbye to my present candle burners. I can’t be certain that she won’t stick her face too near or even in the flame and burn all her whiskers off in the process. I got a perfect ceramic pineapple without any chips for my mother for her birthday as well- I wanted one for me too, but I couldn’t find a perfect one without chips for me. Sorry no pineapple pic, it has been wrapped already. Yesterday I wrote a list of things I wanted us to do this weekend. Several of them involved a trip to Kmart. The other half checked the calender and realised it is the first weekend of the school holidays, so we ended up going to Kmart last night around 9:30pm because ours is 24/7. It was wonderfully peaceful. 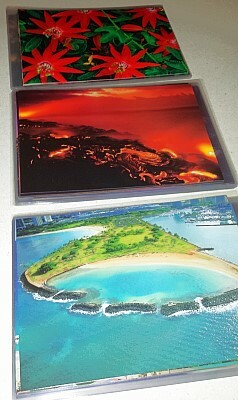 I was actually mid-another-job – laminating Hawaii calender pages to hang on the back of the toilet door – when I ran out of A4 laminator sleeves. I figured we might as well pick some up while at Kmart, also too. 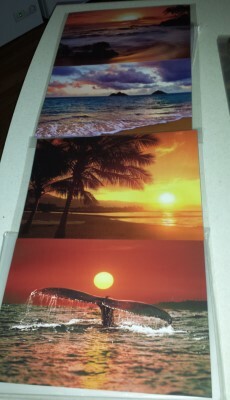 Then I came home and completed the laminator job, while listening to the Breaking Bad Insider Podcast on my iPhone. The other things on the list involved a phone call to the local Chinese to make a dinner appointment for tonight, which has been completed this morning. 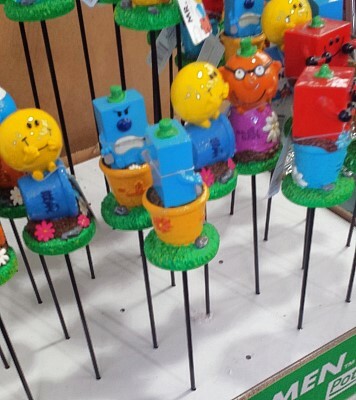 And a trip to Bunnings – a hardware and garden store for those not in Australia – to buy sand for the chook pen. 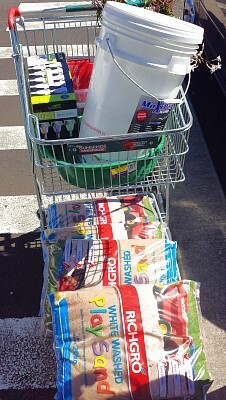 Of course a trip to Bunnings never means just getting the thing you went for. The other half has been planning a special planter box for a while, and this weekend he is building it. I found a gorgeous climbing jasmine, a sieve for the chook pen because the kitty litter scoop is not very efficient for chook poop, and a new bucket to store the chook poop in because all the old lids had broken. 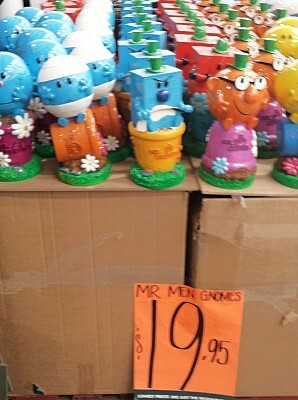 I was quite tempted by these colourful Mr Men items – Mr Men Garden Gnomes, and Mr Men on a stick. When I mentioned the Mr Men on a stick to The Other Half, who was busy wrangling the trolley and he did not spot them, he was very concerned at that concept, because his mind put the stick, well, guess where. But I showed him the picture and he was quite relieved to see the stick was not near to the Mr Man at all. 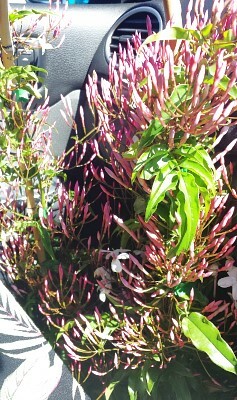 I hope you don’t suffer with hayfever, that particular variety of jasmine is soooo bad for it. Adelaide is full of it, I don’t think there is a single suburb without it, so I stay inside a lot between August and November, or take triple the usual antihistamine. LOVE the over the door hooks, I need another one of those myself.